Musician, artist, lawyer, and real estate investor: these are just a few of the titles Sally Ekenberg Mosher has embodied over the years. She began her varied career by earning a Bachelor of Music from Manhattanville College in 1956, and immediately entered the workforce. As her journey evolved, she repeatedly returned to academia to help her succeed in her chosen fields. From 1960 to 1961, Ms. Mosher completed postgraduate work at Hofstra University, from 1973 to 1974, she completed postgraduate work at the University of Southern California, and in 1981, she returned to the latter school to obtain a JD. She was admitted to the State Bar of California in 1982. During her distinguished career, Ms. Mosher served in numerous positions in Pasadena in the fields of music and law. She has been president of Oakhill Enterprises, a business service company, since 1984, real estate broker from 1984 to 1996, an associate at White-Howell, Inc., from 1984 to 1994, and vice president and president of James K. Mosher Co., a domestic stock company, from 1961 to 1982. She also accrued experience as a representative at Occidental Life Insurance Co. from 1975 to 1978, manager of Contrasts Concerts at the Pasadena Art Museum from 1971 to 1972, music critic of the “Pasadena Star-News” from 1967 to 1972, and musician, pianist, and teacher from 1957 to 1974. 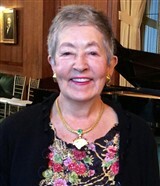 As a musician, Ms. Mosher has had numerous recordings on CD, including “William Byrd: Songs, Dances, Battles, Games” in 1995, “From Now On: New Directions For Harpsichord” in 1998, “Sally Mosher Plays English Renaissance Harpsichord Music” in 2004,” “Towards the Light” in 2006, “Explorations” in 2010 and “Soundings,” with improvisations by Patrick Lindley and Scott Fraser, in 2015. Trained as a pianist, with experience as a performer, composer, and concert manager, Ms. Mosher turned to the harpsichord because of the exciting improvement in sound. Her aim is to make the harpsichord a vital part of the performance scene in the 21st century. She expects her future projects to concentrate on music for the present rather than of the past. Over the years, Ms. Mosher has contributed her expertise to numerous associations and institutions around her community. Some of these include the Junior League of Pasadena, the University of Southern California Friends of Music, the Pasadena Historical Society, the Pasadena Arts Council, the Southern California Baroque Association, the Los Angeles Philanthropic Committee for the Arts, and Foothill Area Community Services. She also holds membership with prominent professional organizations like the American Bar Association, the California Bar Association, and the Southern California Baroque Association, as well as the American Society of Composers, Authors and Publishers (ASCAP), Kappa Gamma Pi, Mu Phi Epsilon, and Phi Alpha Delta. Ms. Mosher’s hard work, passion and commitment have not gone unnoticed. She was a Manhattanville College Dom Mocquereau honorary scholar from 1952 to 1956, and received the Vero Nihil Verius award of Artistic Excellence for her book, “People and Their Contexts: A Chronology of the 16th Century World,” from Concordia University in 2011. She has also been honored as a featured listee in Who’s Who of American Women, Who’s Who in Finance and Industry, Who’s Who in America, Who’s Who in American Law, Who’s Who in the West, and Who’s Who in the World.